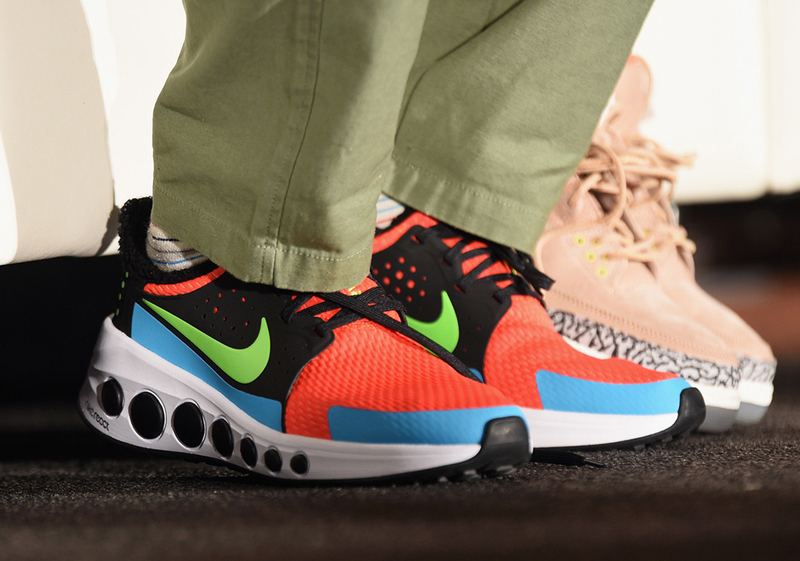 As Nike’s foremost maven of innovative footwear, legendary designer Tinker Hatfield is no stranger to the cutting edge — and he was recently spotted wearing a brand-new Nike React sneaker during a talk at SXSW. 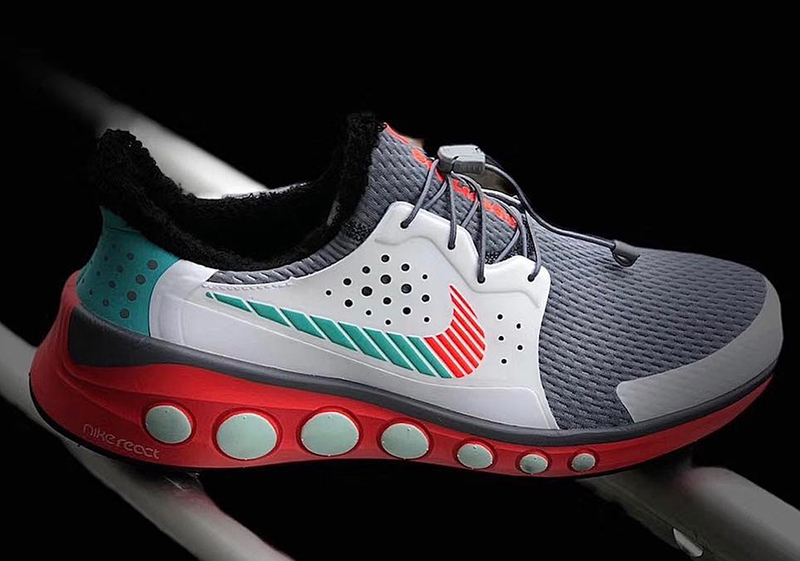 Although the design may appear to be running-centric at first glance, Hatfield was somewhat ambiguous about its purpose, stating that the shoe was “not for running, it’s for something else.” Regardless of its intended use, the React 2019 is certainly sport-inspired, boasting a sleek mesh upper with bold overlays that sits on top of a thick React foam midsole embellished with large circular plugs. Two colorways have been revealed so far: a bright red with black, green, and blue accents — that the designer slipped on in place of his Air Jordan 3 JTH “Bio Beige” mid-lecture — and a white/grey pair with tropical accents and a toggle lacing system. Hatfield announced that the new design would be arriving at retailers late summer/early fall, so check out both colorways right here and stay tuned for further information on these interesting Nike shoes as it’s available.